Pleasant Valley Landing is a retail building constructed in 1999. 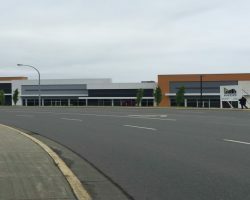 Located in the Woodgrove Regional Shopping District of Nanaimo, it is part of the primary retail node in north Nanaimo. Pleasant Valley Landing, which was extensively redeveloped in 2015, comprises 34,928 square feet of leasable area and has 27 parking stalls for a ratio of 1.0 stall per 1,250 square feet of leasable area. BD Canada Ltd., Simply Oak & Pine Fine Furnishings Ltd.